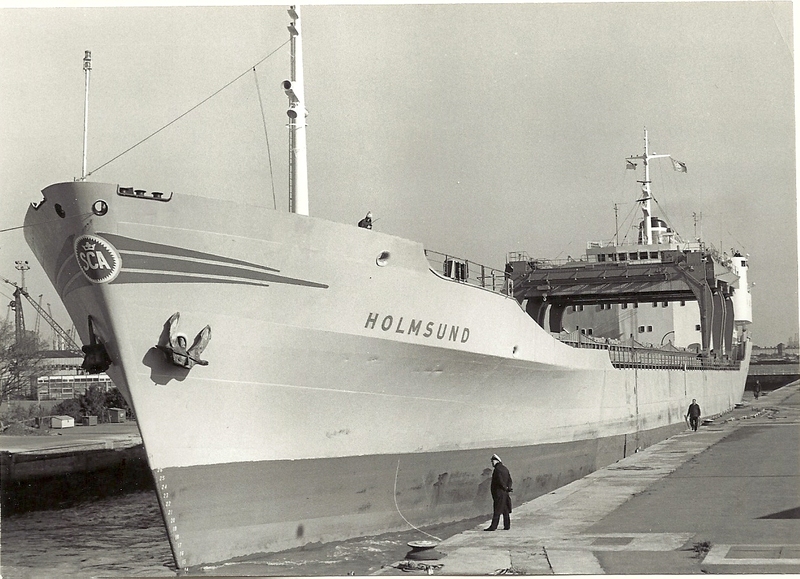 Three photos of SCA’s HOLMSOND in Tilbury. She’s still there, aground in Lake St-Louis, Quebec, Canada (February 2016) and the Mexican owner abandoned its project of towing her in a scrapyard somewhere in Mexico. Everyone is waiting to see what the Federal Governement is going to do next. I was second mate on her during the last two years she sailed under the Canadian Flag (until January 2010). For a 41-42 years old lady, the Kathryn Spirit was a strong and well built ship that handle high sea very well. Together with its sisterships MUNKSUND and TUNADAL, the packaged timber carrier HOLMSUND was a newcomer to Tilbury Docks in 1967. Owned originally by SCA-Transport, of Sundsvall, Sweden, the vessel was of 9354 tons gross, 12,500 deadweight. 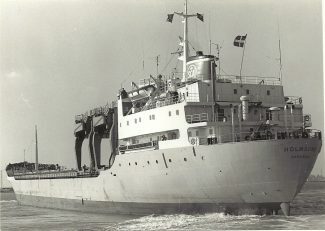 Following changes of registered owner in Sweden, thanks to corporate takeovers, the vessel was sold in April 1997 to a Norwegian outfit and renamed MENOMINEE, for service out of the Great Lakes of North America. She changed hands in November 2006 to become the Canadian-owned KATHRYN SPIRIT, and within five years she had become the centre of some controversy. In 2011, her owners wanted to sell her for scrap and it was the intention for her to be broken up at the Lake Saint Louis port of Beauharnois. There were local objections because of fears of environmental damage and so there was a rethink. 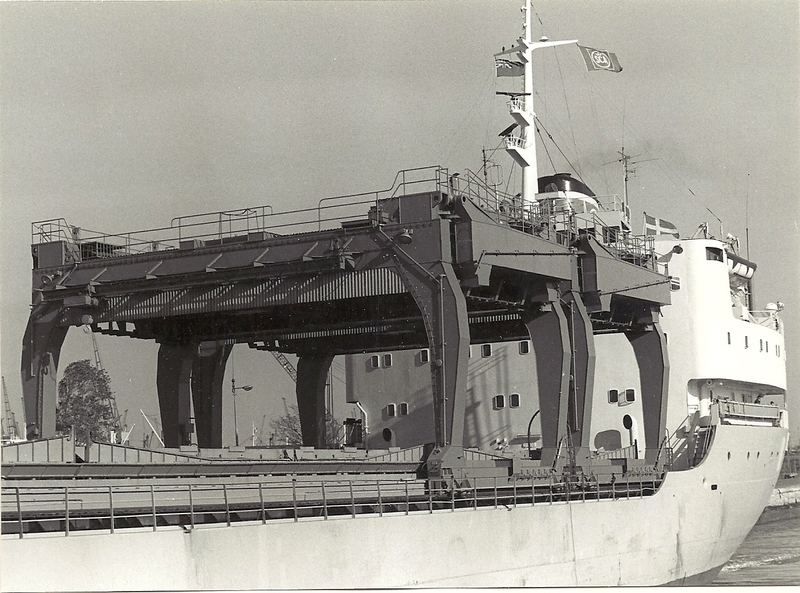 Later, it was intended to tow her to Mexico for scrapping, but the US-owned and Bolivian-flagged tug that was contracted to tow her was prevented from doing the job because it was unseaworthy. In the meantime KATHRYN SPIRIT suffered some leaks in her hull and was not allowed to leave port. It seems that these problems have been solved. Have not got confirmation, but seems she is already in Mexico.